Netflix finally released Bright recently, and reactions have been mixed. Some love it, some hate it. It’s currently sitting at 28% rotten on Rotten Tomatoes based on the reviews of 80 critics. On the other hand, audiences on Rotten Tomatoes have it at 88% based on almost 14,800 user ratings. Basically, as is usually the case, it’s best to watch and decide for yourself. No matter what the opinions of Bright are, it’s been a big hit for Netflix. According to them it’s one of the biggest originals they’ve ever launched, TV series included, and it had the highest-viewed opening week for an original film on the service. It’s also the top movie on Netflix in over 190 countries. Because of all of this, Netflix has announced that a sequel to the movie is now in the works. More on this and a video to announce the sequel below. In addition to announcing the sequel, Netflix also has revealed that director David Ayer will not only return to direct, but will also write the screenplay. Ayer previously directed End of Watch, Fury, and Suicide Squad, and wrote the screenplays for Training Day and End of Watch. The screenplay for the first Bright was penned by Max Landis. Also expected to return are stars Will Smith and Joel Edgerton. You can find trailers and more if you’re not yet familiar with Bright. Leaked footage of Orc casting confirms the rumors: there will be a sequel to Bright. Bright is available only on Netflix. 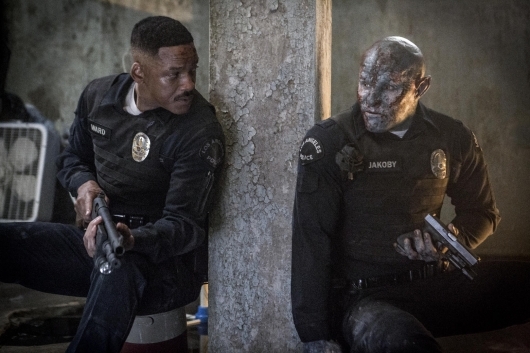 Bright is directed by David Ayer (Training Day, End of Watch, Suicide Squad) stars Will Smith (Men in Black), Joel Edgerton (The Great Gatsby), Noomi Rapace (The Girl with the Dragon Tattoo), Lucy Fry (11.22.63), Edgar Ramirez (Hands of Stone, Zero Dark Thirty), Margaret Cho (Drop Dead Diva), and Ike Barinholtz (Suicide Squad). The movie is written by Max Landis (Chronicle) and produced by Ayer, Eric Newman (Narcos) and Bryan Unkeless (The Hunger Games).